Don't miss million-selling soprano Hayley Westenra, clarinet sensation Andrea Ottensamer and amazing young pianist Joseph Moog, who'll perform the famous Grieg Piano Concerto. What's more, the Central Band of the Royal Air Force, the Royal Northern Sinfonia and the Crouch End Festival Chorus will also be back – and, as always, the concert will conclude with Tchaikovsky's 1812 Overture, complete with spectacular lights and fireworks. Tickets go on sale to the general public on Monday 10th Feb but I have a link for booking tickets NOW if anyone is interested. I believe that Hayley was only due to sing two songs last September and that may well be the case this time too. PS As always be aware that Hayley's appearance in this concert has not yet been confirmed to us by Bandana but rest assured we will try and get such confirmation as soon as possible. Thanks for the notice, Martin! I'm pleased to say that Hayley's participation in this event is now confirmed by her management. However, I have no information yet about the extent of her involvement so like Martin, I assume that it will be similar to what was planned last year in the abandoned event - one or two songs. Thanks for the confirmation, Dave! I've added this event to the forum schedule, but I'll wait for the Royal Albert Hall's ticket link before I update our website and Facebook page. That should appear when the tickets go on sale tomorrow morning. I'll update our website and Facebook page. BID NOW Swingtime Ball auction! 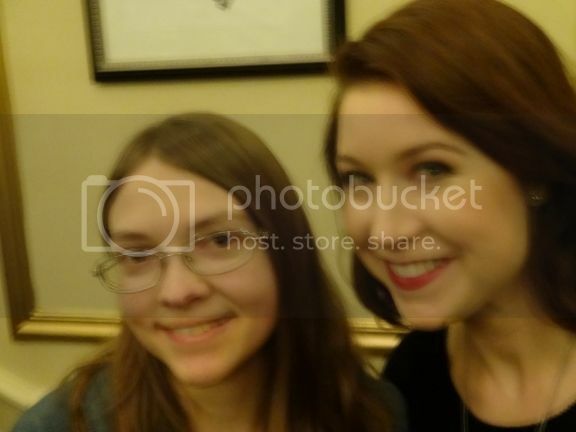 Hayley Westenra in concert at The Royal Albert Hall - a VIP experience for 2 people. Click on the link for full details of the auction. Bidding closes at 12 noon on Friday 28 February 2014. New Zealander Hayley Westenra signed her first international recording contract with Universal Records in the UK at the tender age of 14. Her first release under the deal, Pure (2003), then became the fastest selling international debut album in the history of the UK classical charts. This exclusive prize is for 2 VIP tickets to see Hayley Westenra at the Classic FM Live Concert at The Royal Albert Hall on Tuesday 29th April 2014. VIP experience to include a meet and greet. Unfortunately inner London is now out of bounds to those who don't live there, thanks to the congestion charge. Click on the link for full details of the auction. The website says nothing about Hayley or the Royal Albert Hall. Hayley Westenra in concert at The Royal Albert Hall when Hayley is just part of the Classic FM Live concert and we don't yet know for sure how many songs she will perform. Incidentally, Martin and I got a meet and greet for free, outside the Hall before the cancelled concert last year, accompanied by firemen of the London Fire Brigade. I bet this year's auction prize can't match that! Please note that bidding closes at 12 noon next Friday, 28 February 2014. Well, whatever, the DVLT is worth supporting anyway. Hayley will be singing, and only singing, "La Califfa" at this concert. She was also due to sing "Sleep On" but Paul Mealor was not available. Would have been our 36th wedding anniversary. Would have been a nice way to celebrate, but with Hayley only singing one song, hardly worth the trip to London.